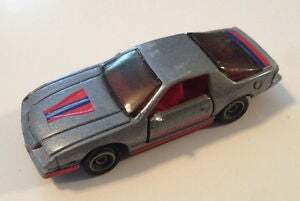 This week’s edition of Lost Diecast is: Kidco Lock-Ups diecast cars. A diecast car comes with a key. When it came out in the 80s, the object of using this key is to lock or unlock the wheels of your diecast car. Make sure the wheels rolls because it has rubber tires and forgetting to unlock will make the tires scream.